We all know how irritating, inconvenient, and infuriating receiving unsolicited telemarketing calls can be. You’re trying to go about your daily life, walking your dog, having a shower, making dinner, when suddenly your phone starts unexpectedly ringing. Dropping whatever you’re doing to find out who could need you so out of the blue, you scramble to answer it only to hear a complete stranger down the line, often reciting personal facts about you, an addition which makes the entire experience all the more disconcerting and uncomfortable. 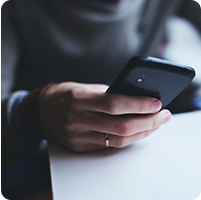 Nuisance calls are something which all companies should avoid at all costs. It doesn’t only hurt the people receiving them, but it hurts the telecommunications industry and its public perception. People never want to receive cold calls, but there have been cases of parents waiting for medical updates regarding their children, elderly people being awoken in fear in the night, and many, many more instances that are worse than just a mildly annoying disturbance as you’re doing your weekly shop. Still, even when only minor damage is caused, there is still inconvenience and upset which is always going to put companies’ relationships with their customers in jeopardy. Many companies in almost every sector have a need to be in contact with large amounts of people at once. Maybe a lot of customers are trying to get in touch to make the most of a special deal, maybe there are an influx of patients trying to get an appointment, maybe you need to update clients on a new feature. Whatever the reason, it isn’t always easy to handle a huge amount of calls at once, but failure to do so could have a truly detrimental impact on your business. 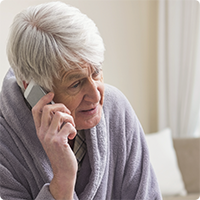 More tough enforcement by the ICO has emerged following a bout of unsolicited marketing calls made by Direct Assist Ltd; a personal injury claims company. The organisation had made a high volume of calls offering access to solicitors for consumers who hadn’t given their permission to be contacted. The ICO has revealed that almost all of the individuals who made complaints had previously registered their telephone numbers with the TPS. Over 800 individual complaints were made over a period of 19 months, giving the ICO more than enough evidence to issue a monetary penalty. On Monday 2nd July 2012, the BBC aired the Panorama programme - Call Centres Undercover. One of the main themes that this programme explored was the Telephone Preference Service, and whether or not they were achieving their goal of preventing unsolicited calls being made to individuals and businesses that had registered with the TPS service. Due to the emergence of SIP based telephony and Softswitch technology, coupled with the recent reduction in mobile termination rates, Nexbridge are able to offer some of the most competitive call charges in the industry. Our call charges are so competitive that many contact centres have found our call charges cheaper than their current call charges.